This ASUS C31N1538 Battery has a capacity of 57Wh and a voltage of 11.55V. Suitable for ASUS ZenBook Q324UA UX360UA Series. 100% compatible and 100% safe. 1-year warranty, 30-day money back guarantee. It is not necessary to discharge completely before each charge, because this deep discharge will shorten the battery life. It is recommended to charge when the remaining 10% is left. In addition, when there is still more than 30% of the battery power, it is best not to charge, because the memory effect does exist. The power management software allows you to check the battery level at any time, and the ASUS ZenBook Q324UA UX360UA Series come with a battery indicator that allows you to check the remaining battery even without turning it on. Use some power management tools, such as the Power Assistant on the ASUS ZenBook Q324UA UX360UA Series, which can even monitor the energy consumption of each component in real time through the PMC circuit, and accurately summarize the company's status to the HPclient Configuration Manager software, and optionally Turn off the specified parts to extend battery life. 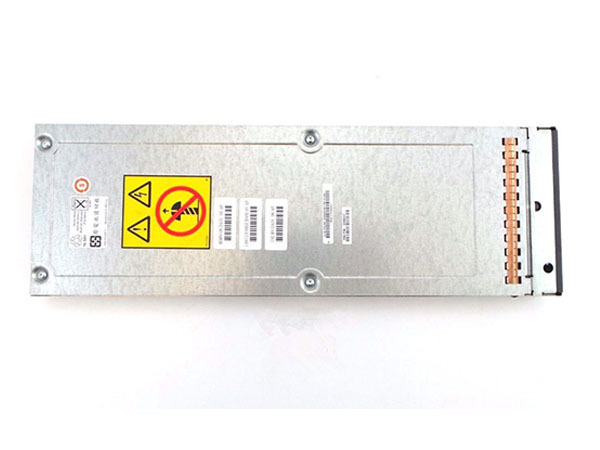 This IBM 23R0247 Battery has a capacity of and a voltage of . Suitable for IBM DS6000 DS6800 SYSTEM STORAGE . 100% compatible and 100% safe. 1-year warranty, 30-day money back guarantee. This ASUS C41-N550 Battery has a capacity of 4000mAh/59Wh and a voltage of 15V. Suitable for ASUS N550 N550J N550JV N550JK Q550L Q550LF. 100% compatible and 100% safe. 1-year warranty, 30-day money back guarantee. This HP BP02XL Battery has a capacity of 41Wh and a voltage of 7.7v. Suitable for HP Pavilion Notebook PC 15 15-AU010WM 15-AU018WM 7.7v. 100% compatible and 100% safe. 1-year warranty, 30-day money back guarantee. This Fanuc A98L-0031-0026-2PCS Battery has a capacity of 1750mAh and a voltage of 3V. 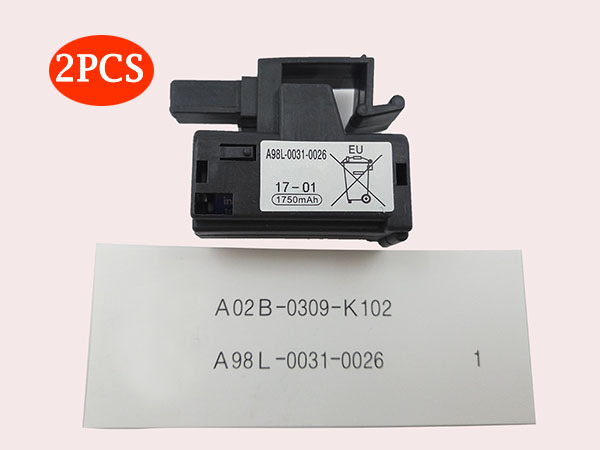 Suitable for Fanuc Controls BBAG8 A02b-0309-k102. 100% compatible and 100% safe. 1-year warranty, 30-day money back guarantee. 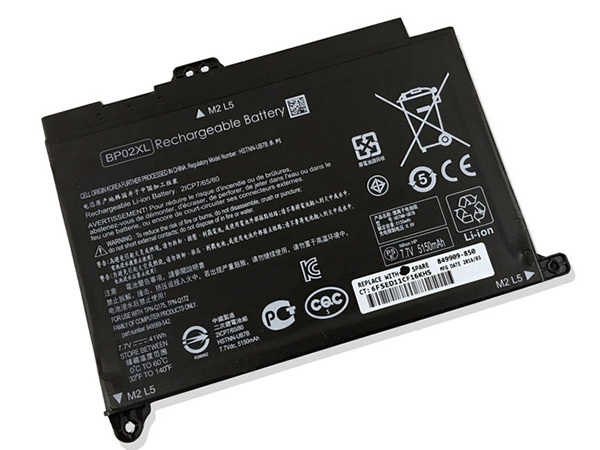 1, we can directly discharge the laptop battery, and then re-install it to repair the laptop battery, but the degree of repair is partial, cannot be repaired. 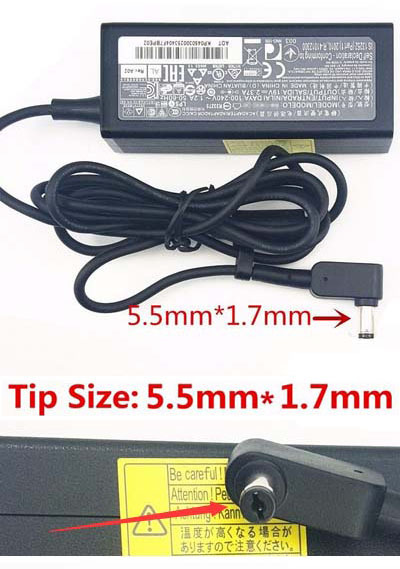 First unplug the notebook, stop charging, and then use up the remaining power on the laptop until it can not be turned on, then connect the power supply, so that the battery is used up and down twice, then the laptop battery is detected. The degree of loss, it is found that the degree of loss is reduced. 2, of course, you can also restore the laptop battery's discharge time through the notebook refresh program, repair the loss of the notebook. The notebook refresh program can be downloaded through the official website of the notebook corresponding brand, and then press and hold F8 to enter the DOS system to perform the battery refresh program. The completion of the refresh program is also a certain repair effect on the loss of the notebook. 3. Many lithium battery failures are caused by the failure of a certain battery cell in the battery pack. This phenomenon cannot be avoided. Because the cell properties of each cell are not completely consistent, some of the poor quality begins to age after a long time, and the overall (after series) discharge curve is destroyed. Readers with the interest and ability can try to open the battery pack, and with the help of the multimeter, you can quickly find the damaged battery (voltage abnormality). If the conditions permit, replace the qualified product according to the corresponding parameters of the battery core. 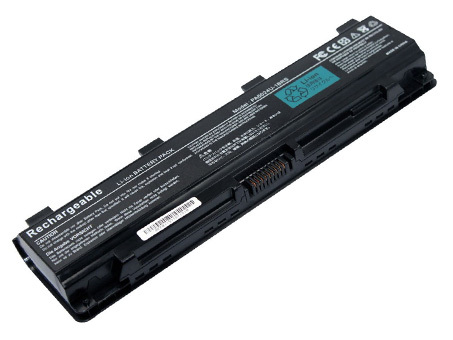 High Quality Lenovo SB10H45071 Notebook Battery, secure and stable! 100% Quality Assurance and Rigorous Testing! 100% Compatible with Original Model & Completely Chargered by Original adapter. Ordering and gettiing a 30% discount！“The shortest answer is doing”! 1year warranty and 30 days money back guarantee. All our high quality Lenovo SB10H45071 replacement Notebook Battery have been tested and proven to match and / or match the performance of the original Lenovo Notebook Battery and are 100% compatible with the original manufacturer's specifications. 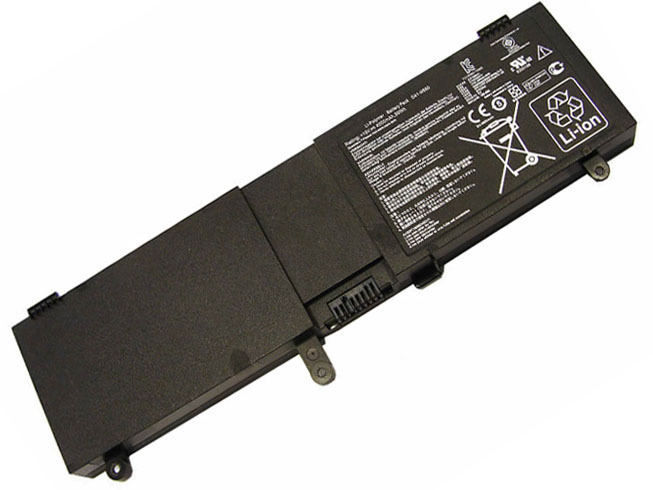 This Lenovo SB10H45071 Notebook Battery comes with a 1-year limited warranty. Thank you for purchasing this high quality Lenovo SB10H45071 replacement Notebook Battery. We have a rigorous testing process to ensure that your ordered products (like this Notebook Battery for Lenovo SB10H45071) are functionally correct before being packaged and sent to you. 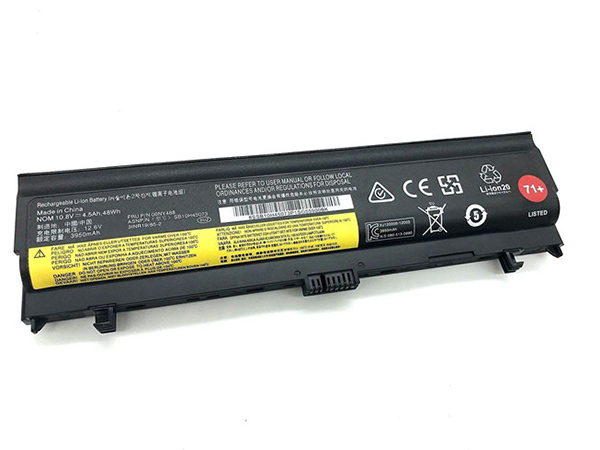 And before placing an order, make sure that your old original part number of the Lenovo SB10H45071 Notebook Battery is listed below and that the shape is identical to the images in our Notebook Battery. The Toshiba PA5109U-1BRS Notebook Battery equivalent is guaranteed to meet or exceed original specifications. All Toshiba PA5109U-1BRS Notebook Battery are brand new,1 year Warranty, 100% Guarantee Quality and Fully Test! DE:PA5109U-1BRS Akku.Das richtige TOSHIBA Akku finden. All our high quality Toshiba PA5109U-1BRS replacement Notebook Battery have been tested and proven to match and / or match the performance of the original Toshiba Notebook Battery and are 100% compatible with the original manufacturer's specifications. This Toshiba PA5109U-1BRS Notebook Battery comes with a 1-year limited warranty. Thank you for purchasing this high quality Toshiba PA5109U-1BRS replacement Notebook Battery. We have a rigorous testing process to ensure that your ordered products (like this Notebook Battery for Toshiba PA5109U-1BRS) are functionally correct before being packaged and sent to you. And before placing an order, make sure that your old original part number of the Toshiba PA5109U-1BRS Notebook Battery is listed below and that the shape is identical to the images in our Notebook Battery. DE:UM09A71 Akku.Das richtige ACER Akku finden. All our high quality ACER UM09A71 replacement Notebook Battery have been tested and proven to match and / or match the performance of the original ACER Notebook Battery and are 100% compatible with the original manufacturer's specifications. This ACER UM09A71 Notebook Battery comes with a 1-year limited warranty. Thank you for purchasing this high quality ACER UM09A71 replacement Notebook Battery. We have a rigorous testing process to ensure that your ordered products (like this Notebook Battery for ACER UM09A71) are functionally correct before being packaged and sent to you. 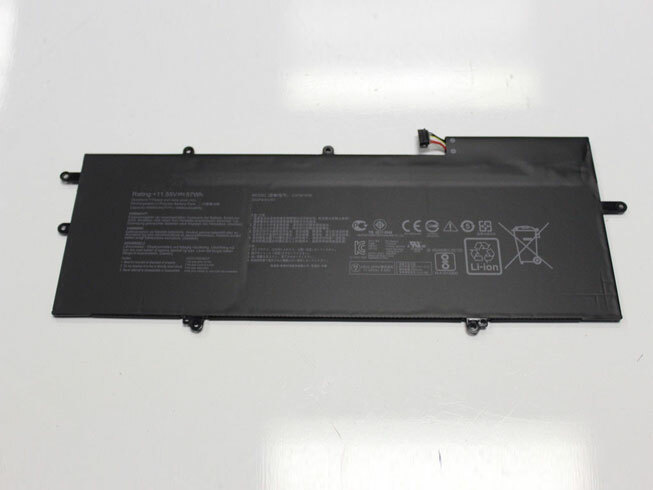 And before placing an order, make sure that your old original part number of the ACER UM09A71 Notebook Battery is listed below and that the shape is identical to the images in our Notebook Battery.